If you are looking for reliable and experienced paver sealing contractors, you've come to the right place. At Clean My Pavers, we guarantee outstanding sealing jobs at costs that you can surely afford. We use proven methods and techniques to achieve elegant paver surfaces that are also protected from harsh environmental elements. Our efficient solutions were already proven by countless satisfied clients in Glen Mills, Malvern Villanova, West Chester, and other property owners in Pennsylvania. We are known in these areas for our professionalism, keen attention to details and ability to bring back the aesthetic appeal of old paver structures. 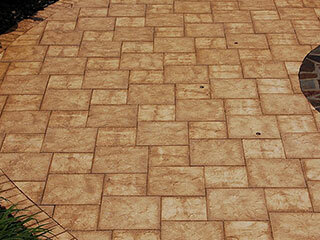 Call us now so we can also make your paver amenities look like new again with our professional paver sealing services. We don't just seal pavers and declare the job done after applying sealants. Instead, we follow a systematic and proven process that efficiently restores the beauty and charm of all paver surfaces that we work on. Dial (610) 459-3466 now to know more about our services. Clean My Pavers is the top choice of Glen Mills residents when it comes to paver maintenance jobs. We are also the preferred service providers in other Pennsylvania cities because of our fast and professional paver sealing services. Industry certified. We are probably the only paver maintenance contractor in Glen Mills, PA with numerous paver sealing certifications. Some of our certifications include EP Henry Certified Sealing Specialists, Techniseal Certified Applicator, and Seal 'n Lock Pro Application Technician. With these certifications, clients are assured that the people working on their paver features and amenities are skilled and knowledgeable. Experienced paver sealers. All sealing tasks require proper training and extensive experience in actual work. And here at Clean My Pavers, we possess these qualities. We have decades of experience in paver maintenance, so we know the best techniques to use and the best sealing products to apply. We can work on patios, decks, driveways, and other paved surfaces. Our crews are also experts in handling different types of pavers, such as bricks, concrete, and natural stone. Use of premium sealers. 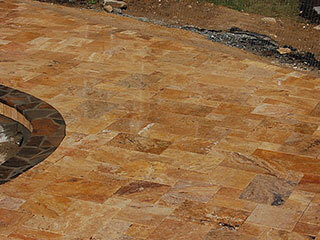 We use only top-quality paver sealers for all our projects. Some of our partners include Techniseal and Seal 'n Lock. These two companies offer top-of-the-line sealing products that are capable of providing paver protection for years and enhancing the beauty of old paver units. Aside from quality, our sealers have features that address the needs of discriminating clients. Our Seal 'n Lock products, for example, are non-toxic and environmentally safe, making them the top choice of most property owners. We highly recommend Seal 'n Lock because it allows faster completion of paver sealing jobs. Our primary aim at Clean My Pavers is to provide clients with outstanding paver sealing services that won't hurt their pockets. But even if we offer our services at competitive rates, we never scrimp on the quality of materials used or perform subpar work. Our crews work systematically and use appropriate tools to ensure a properly sealed paver surface. With Clean My Pavers, you are guaranteed of professionally and excellently done paver sealing jobs. Contact us today at (610) 459-3466.